I was 15 the first time I traveled alone internationally and my parents warned me to never accept a package or letter from a stranger who’d ask me to pop the missive in the mail when I got to my destination. Fast forward and airline agents for years now ask whether you packed your suitcase and if anyone has given you anything to take with you. This custom has changed dramatically with the advent of Grabr, an online company that introduces travelers to shoppers in foreign countries who count on them to carry purchases. 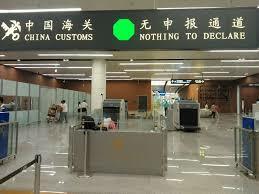 Customs charges are the responsibility of the traveler who is supposed to ask enough of the shopper to cover them. They negotiate the amount before the trip. Duty free limits range from $300 in Argentina to $500, in Brazil, for example. 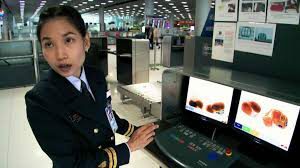 “Travelers to those countries should owe customs 50% of the portion of the value of items over the duty-free limit,” wrote Fuller. Grabr’s co-founders Artem Fedyaev and Darla Rebenok say the company’s terms of service require users to comply with customs. 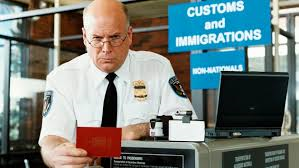 In my experience, customs officers are smart. They know that a Gucci handbag costs many multiples of $450, should a traveler try to get away with the smaller amount on a customs document, and that people don’t travel with three smartphones and four laptops for personal use. If they don’t already know about Grabr, they soon will so there won’t be any savings at the customs counter for travelers-with-the-goods. I wouldn’t be surprised if customs duties in certain countries increase. If you’re planning a trip to a country where electronics and other items are pricey, would you be interested to give Grabr a whirl? Do you believe a stranger will pay for the items you give them? Can you predict the success of the business model? Has customs ever stopped you—and have you had to pay up–in this or another country?